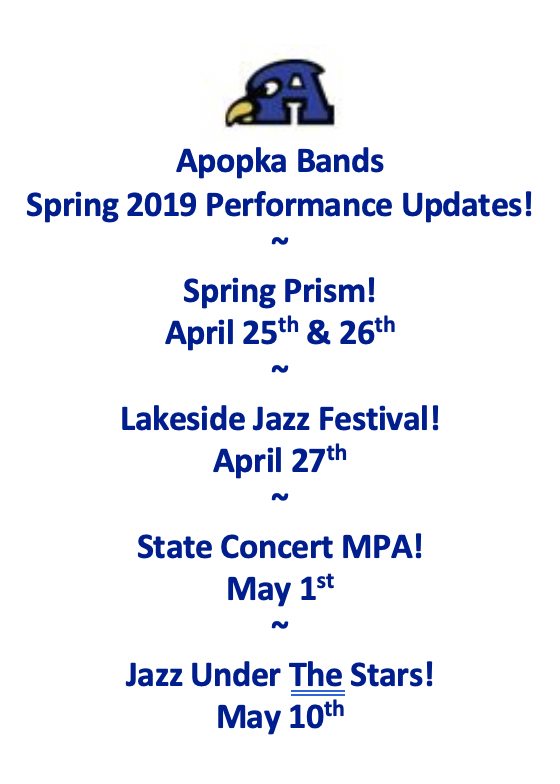 The official website of the Apopka High School Band. Matthew Murphy ~ All State/All County/All Saxophone! Brittany & Bianca Beckwith ~ Cornell Bound! Christian Lamphere ~ Eagle Scout! Click the Charms Office Assistant logo to enter the Student/Parent login area. San Miguel Mexican Grill! Our October 5th Concessions Partner! Duffy’s Sports Bar & Grill! Our September 28th Concessions Partner! Bravo Supermarkets! Our September 14th Concessions Partner! The Blue Darter Marching Band!